Mary Stadick Smith, SD Department of Education's Operations and Information Director, speaks about the department's plan for assessment for the 2013-14 school year. 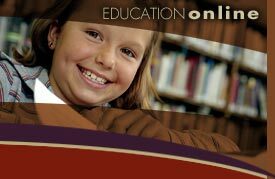 The South Dakota Board of Education has passed rules that would provide school districts flexibility to use their own teacher evaluation systems, as long as those systems align with the South Dakota standards for teaching, are research based, and include a valid measure of student growth. Sign up to receive this newsletter! I’ve been spending time on the road this fall, talking with various legislators and concerned citizens about the Common Core State Standards. These meetings and events have been great opportunities to dispel some of the misunderstandings about Common Core that have recently sprung up. You may have heard Sandra Stotsky’s name come up in discussions about the new standards. She served on the Common Core State Standards Validation Committee. She refused to sign off on the standards, and has been vocal about her disapproval of them. Certainly it is her prerogative to do so. It is important to note, however, that of 29 experts who served on the Validation Committee, 24 did sign off in approval of the standards. In addition, about 45 states voluntarily chose to adopt the standards in English language arts and math, a further endorsement of their validity. Even more importantly, a number of South Dakota educators were involved in reviewing and vetting the standards prior to their adoption. Before the Board of Education voted to adopt the standards, these South Dakota educators deemed them strong, rigorous, and appropriate for our students. Please visit commoncore.sd.gov and encourage others in your district to do the same. It’s a fantastic resource. We’ve recently added video testimonials from South Dakota educators who are excited about the learning they are witnessing in their classrooms as they implement the Common Core standards. This is an exciting time in education. Thanks to the hard work of you and your staff, I know we are well on our way to graduating South Dakota students who are college, career, and life ready.